Party season is officially upon us, I've got a few dressy up occasions coming up and it's all systems go for someone who usually spends her Saturday nights with a cup of tea and Gilmore Girls. Whilst Christmas shopping I've finally found my '2016 dress' which I'll be wearing as often as possible over the next few weeks. Make sure you're following me on Bloglovin' to see it when I blog about it next week. There's no time to accessorise like Christmas party season. 2016 has been the year of the hoop and the choker, and lately I'm loving my hoops. These are from the set I mentioned in my November favourites video, who can believe they were just £6? 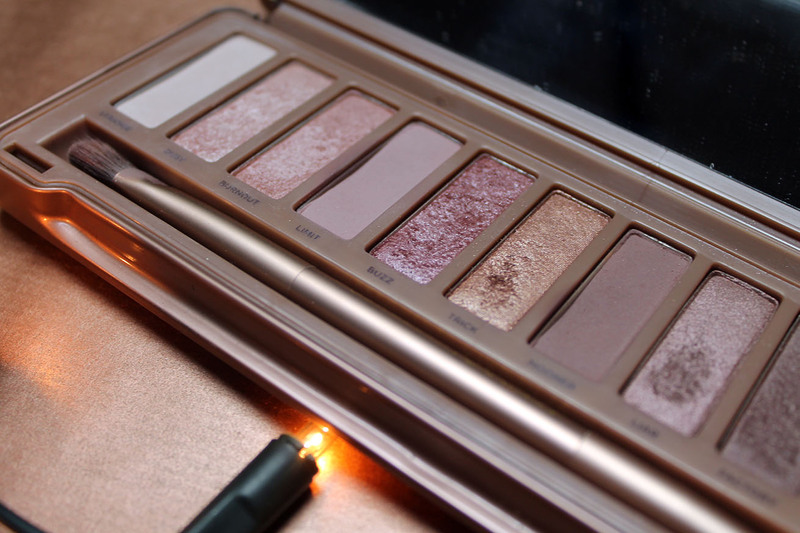 For me, the ultimate eye palette is Urban Decay's Naked 3. The soft pinks, the shimmers, it's just beautiful. I use this palette every day, using limit and nooner for daytime, adding buzz and trick for a bit of shimmer for a night out. It'll take you right through from family lunch to a big NYE party. 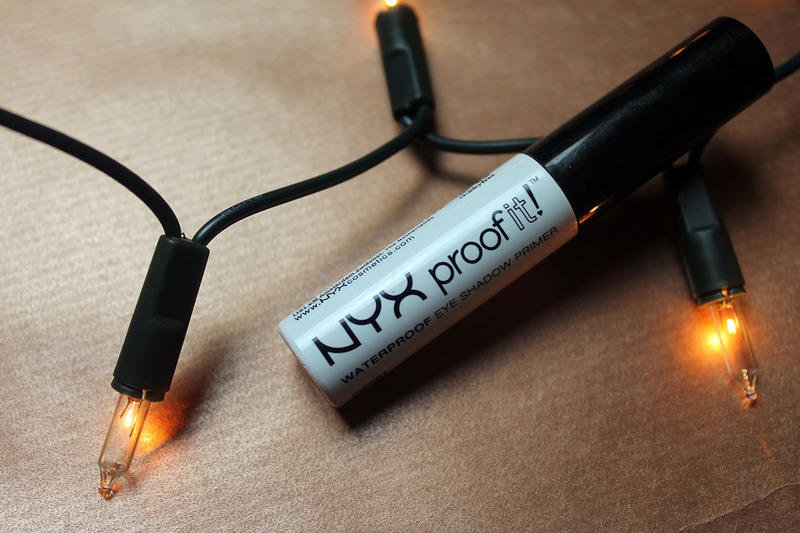 Sticking with the eyes, the NYX proof it primer helps bring these eye looks to life. For just £5.50, I'm seriously impressed by this little primer. 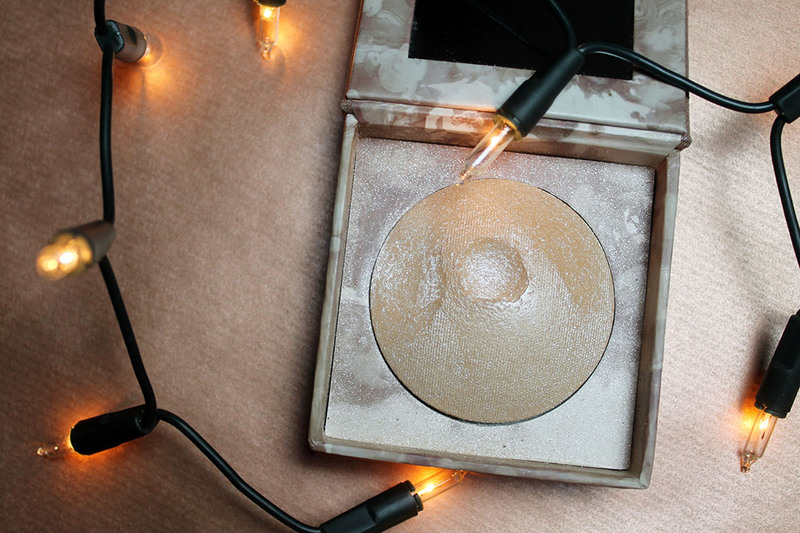 It can leave your lids feeling a bit sticky at first, but it makes sure your shimmer stays on all night. Of course it wouldn't be a Christmas party without a bit of sparkle. I love the idea of chunky sparkles on nails, something a little different than your usual glitter. These gold stars are part of the Alexa Chung for Nails Inc collection, which I absolutely love. 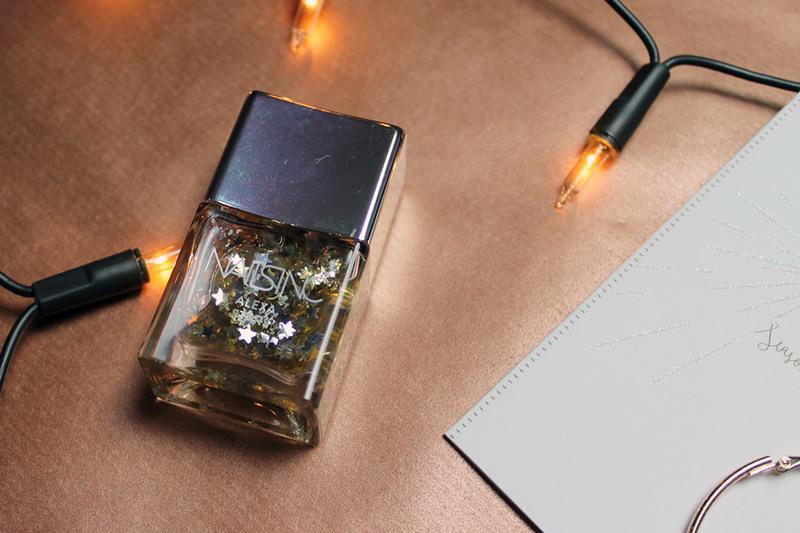 There's a navy polish in there, which looks great underneath these stars to bring the night sky to your fingertips. More sparkle! 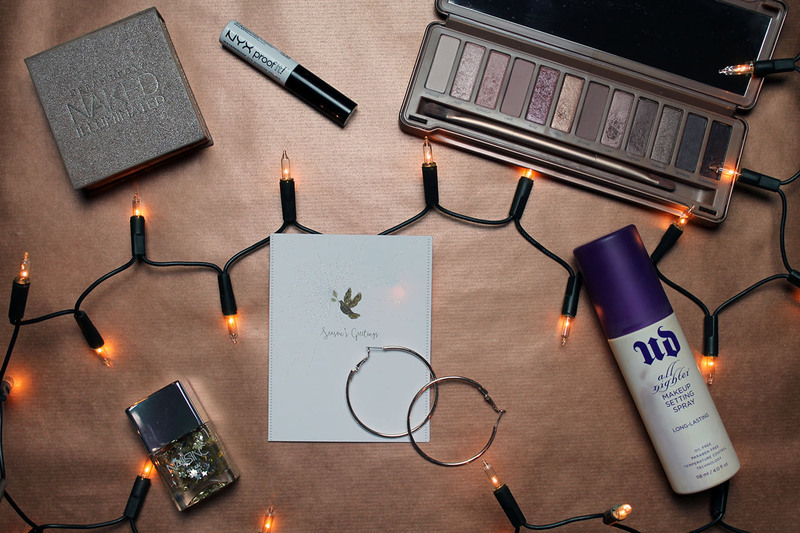 We all love a good highlighter, and my favourite is the Urban Decay naked illuminator, it's like you've got actual fairy dust sprinkled on your cheekbones. It's not subtle, and that's why I love it, even when there's no party. 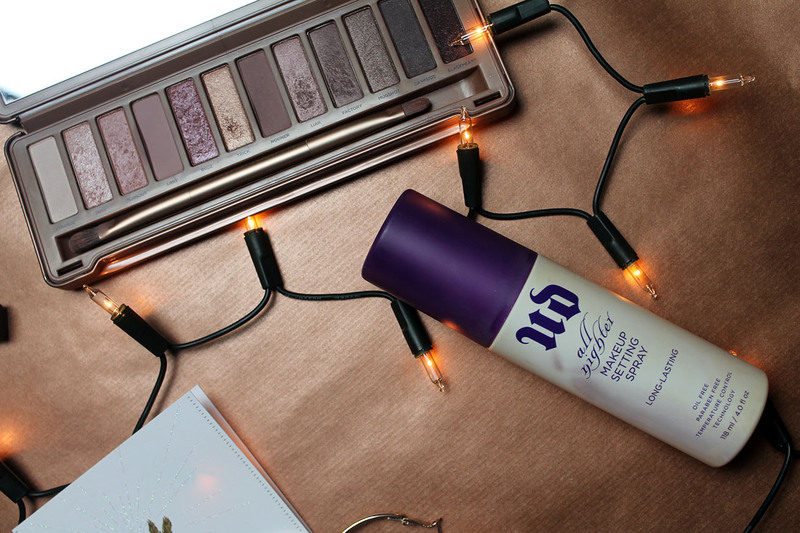 And to top it all off, I couldn't get through party season without the Urban Decay all nighter setting spray. Unless you've been living under a rock, I'm sure you've all heard about the wonders of this spray. It is my holy grail. I can cry, sweat and walk in the rain but with this my makeup is still perfectly in place with this baby. So these are my Christmas party essentials, what are yours? 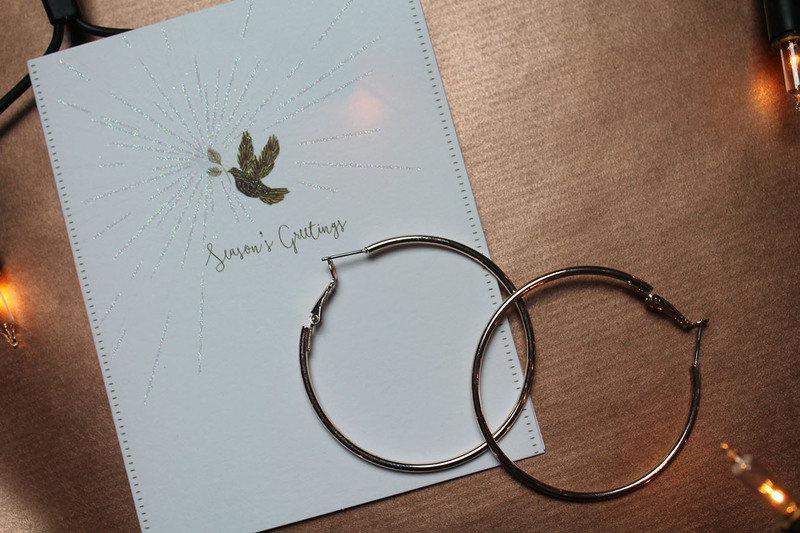 hoops and allll the glittery things are an essential for me! The Naked 3 palette is life!! I can't live without mine. I love limit and nooner too for a daytime look too! Urban decay naked illuminator is definitely an essential for me too especially because I truly think theres no bone structure on my cheeks haha. Merry christmas!